Rev. David Rowe, 64, is following in his father's footsteps as co-pastor of Greenfield Hill Congregational Church. Editor's note: This is one in an occasional series of chats with local seniors about their lives, youthful aspirations, sources of pride and regret, plus a bit of wisdom to share with younger folks. The Rev. David Rowe, co-pastor of Greenfield Hill Congregational Church, always wanted to be a pastor, acted on the yearning after getting hooked on the Bible when passing out same on Coney Island for the New York Bible Society. 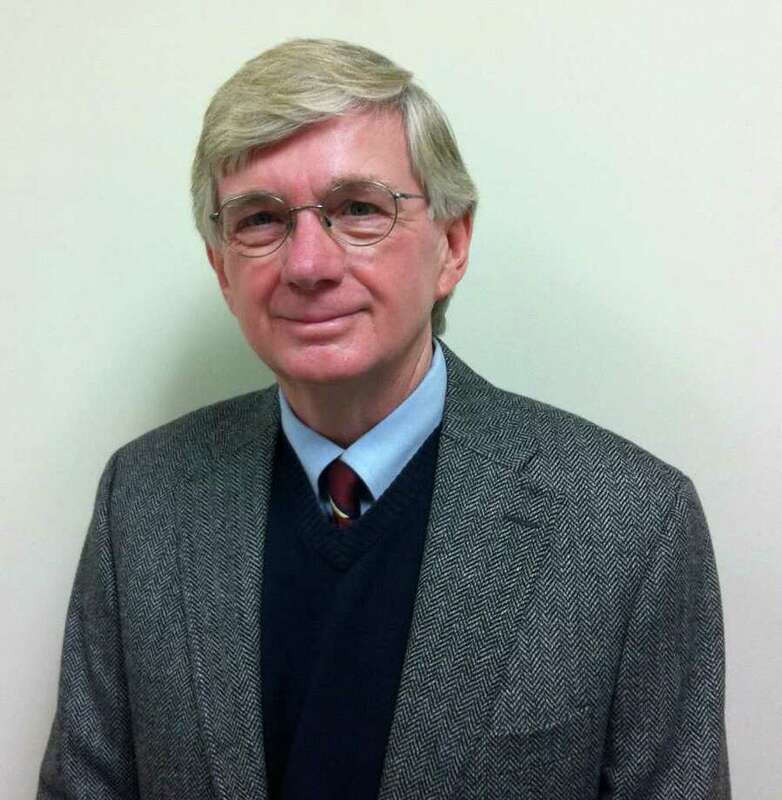 During a Seniority interview for the Fairfield Citizen, Rowe, 64, said before becoming a co-pastor at Greenfield Hill Congregational Church, he was inspired by the example of his dad who was a pastor in Connecticut until retiring at 87. Rowe recalled passing out free Bibles on Coney Island street corners mostly earned him jeers, pushes, shoves. He was so instantly hated he even had to wipe spit from his face. In contrast to such obnoxious behavior, Rowe said there were peaceful and reverent responses from a few who thanked him for the free Good Book. There must be something about the Bible, he thought. Then he began Bible study. Q: How long have you lived in Fairfield? A: Yes, to Alida Ward for one year. A: Two grown children; two stepchildren; one in high school and one in college. A: Girl 11; boy, 7. Q: What was a significant memory or defining moment in your young adulthood? A: I was kicked out of college in my sophomore year and got a job with the New York Bible Society. All I had to do was pass out free bibles on Coney Island street corners. Q: What are your main hobbies and interests? Q: Do you have a favorite work of art? A: Anything by Camille Pissaro or George Innes. Q: What music do you listen to? A: Cello by Pablo Casals. Q: Do you have a favorite actor, actress? A: Al Pacino, L. Bacal. Q: What TV show do you watch regularly? A: Police drama "Prime Suspect." Q: Who do you think was the best President of the United States? A: Abraham Lincoln. He preserved the union and ended slavery. Q: If you could tell President Obama one thing, what would that be? A: I would think that during your remaining year you could do more to get people working. Q: What is your greatest guilty pleasure? A: Lousy drivers on I-95. Q: What achievements of yours are you most proud of? A: 15 years of pastoral work at Greenfield Hill Congregational Church, interfacing with so many good people. Q: Best piece of advice for the younger generation? A: Be positive, have a focus and stay focused. Q: What, if anything are you greatly concerned about? A: Terrorism and its effects. Q: What brings you your greatest joy? A: Watching young people in the church and in my family develop and grow in self- confidence. A: Just keeping on what I am doing. My father was a pastor until he retired at 87.